Swabs are taken for culturing and analysis of bacterial and fungal infections. Sensitivity and resistance results as well as quantification of positive findings indicating intensity of infection are also included. 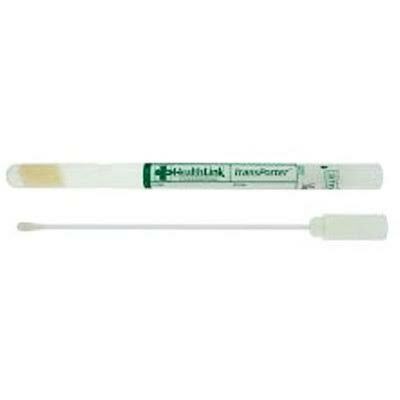 The swab can be used for culturing stool, skin, urine, or any other body parts or secretions, blood can not be cultured. This test is highly recommended for patients with GI symptoms who have had negative stool tests for parasites, as the symptoms for pathogenic bacteria are very similar to those of parasitic infections. While many of the diagnosed intestinal bacteria are part of the normal flora of healthy individuals, all diagnosed intestinal bacteria include some highly pathogenic strains that need attention. For example, Escherechia coli with over 700 serotypes are considered by many practitioners as beneficial bacteria that cause no harm. The truth is many strains i.e., enterotoxigenic, enteroinvasive, enteropathogenic and enterohemorrhagic E. coli can cause serious pathology. The same is true for other bacterial infections diagnosed in the Swab Culture. Testing package is included. The Swab Culture results will be available 2-3 weeks after receipt of specimen. Pathogenic Bacteria explains GI symptoms in the absence of parasite infections. Published in the Journal of Bacteriology and Parasitology.